Understanding that a B2B marketer’s ideal customer is no longer a single individual, but rather a group of buyers, SiriusDecisions has modernized its Demand Waterfall® framework – frequently considered the definitive guide to mapping the B2B buyer’s journey. 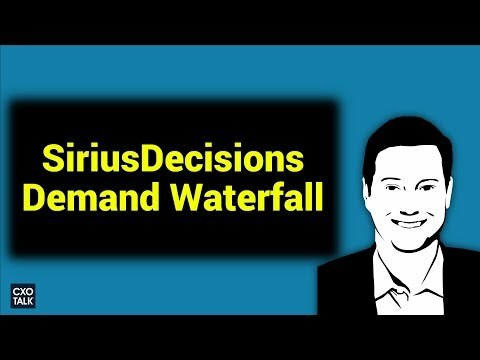 The latest manifestation of the Demand Waterfall reflects the reality of how B2B demand generation actually works, according to Dun & Bradstreet’s former Chief Marketing Officer, Josh Mueller. Today’s B2B buying decisions are not being made by a single person: They involve multiple individuals from different departments with different responsibilities. It’s essentially a buying committee, and you must engage each “committee member”– and persuade them to work with you – throughout every stage of the sales funnel. To do that right, you’re going to need the right data to identify the right buying stages. Mueller recently sat down with industry analyst Michael Krigsman to discuss the significance of the Demand Waterfall and how organizations should use data to put it to good use.